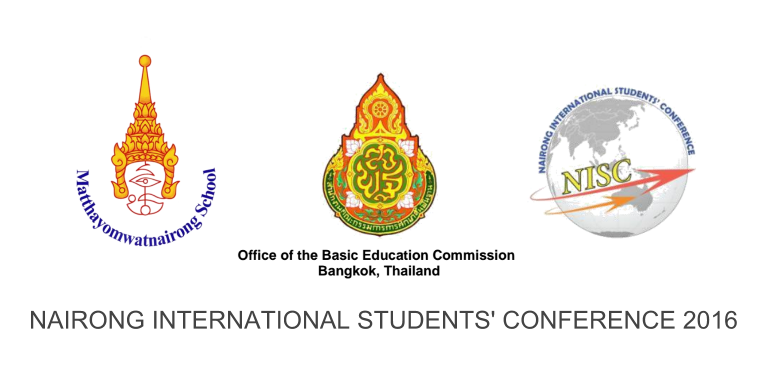 The Nairong International Students’ Conference 2016 is organised with the aim of strengthening the networking between Thai students and international students throughout the world. This will be a great opportunity to network and link with students and schools from other countries to share a subject that is close at heart for many of them. The conference will be held on 25-29 July 2016 at S.D. Avenue Hotel, Pinklao, Bangkok, THAILAND. The hotel provides excellent conference facilities and is in the midst of shopping malls, restaurants and food stalls providing Thailand’s best. The conference will have a lot of activities in store for students, as well as for teachers. Our speakers will consist of outstanding personalities who have had extensive knowledge and experience dealing with the theme and sub-themes. There are workshops and plenary sessions for delegates to discuss the theme and sub-themes of the conference. This will also be a good opportunity for delegates to be chairpersons, respondents or secretaries of these sessions. There are also sessions for teachers to share best practices and innovations of their schools focusing on Tomorrow’s Society. To submit a proposal abstract of your presentation for teachers’ sessions, please visit this page. Speech Competition: Tomorrow’s Society, Are we ready? Delegates will have the opportunity to enjoy a tour of Bangkok’s famous sites, shopping trips and our world-renowned Thai food. Delegates will also be invited to give a cultural performance displaying the diversity of song and dance from their own countries. 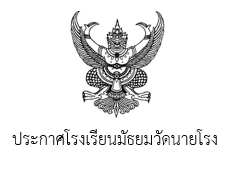 Teacher delegates will also need to pay the registration fees. The registration fee covers accommodation at S.D. Avenue Hotel, Pinklao, Bangkok, meals as shown in the programme, Thai showcase and concert, farewell dinner, conference cap, bag, T-shirt and more. Last day of registration: 29 June 2016.
or visit nisc2016.eventbrite.com to register. 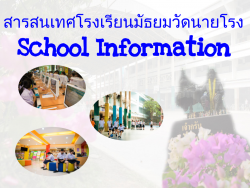 For alternative registration options or if you have any questions, please email us at nisc@nairongschool.com. 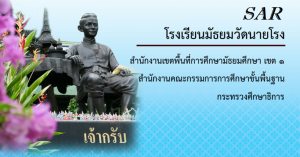 To strengthen the networking between Thai students and international students, thus providing a platform for the exchange of experiences and perspectives. To give an opportunity for students to acquire knowledge and understanding of global issues through research and critical thinking. To make the students realize that global issues can be looked at from different angles by various countries due to cultural, political and financial differences. To help students develop the confidence to speak up and voice their opinions in front of an audience. To enable students make interesting presentations through effective communication skills. To have students learn, acquire and sharpen soft skills like collaboration, communication and interpersonal skills, problem-solving, time management and leadership that will prepare the students to succeed in college, university and beyond.